SoftWash Systems Authorized Professionals are our in-network soft washing contractors who exclusively use our equipment, chemicals and certifications in all aspects of their soft washing company. These Authorized Professionals have not only met the requirements of being a Certified Applicator but also pledge to our Soft Washing 50 Point Standard. They meet a rigorous qualifying process that includes every one of their employees is certified to their exact job position. 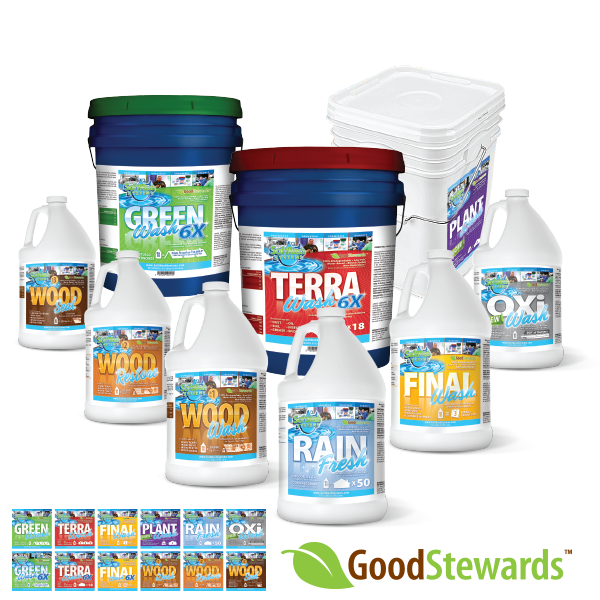 These Authorized Professionals also adhere to our Good Stewards environmental stewardship program upholding the highest standards for best management practices within our industry. Finally each and every Authorized Professional Company undergoes third party verification with Ask The Seal to determine if they are properly licensed and insured for their state and county, as well that every single employee has been screened and background checked for predatory criminal history that may put our property owners at risk. Anyone who has earned this status as an in-network company is fully endorsed by SoftWash Systems. Anyone can build soft wash style equipment and sell soaps. Only SoftWash Systems offers a turn-key business model with the best tools and support in the industry! 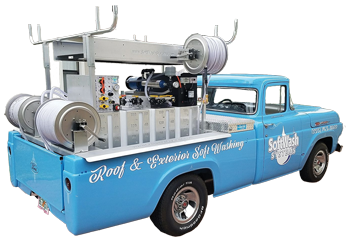 If you want to have the support of a nurturing business oriented community and the leadership of the owner of a multi-million-dollar cleaning company / patriarch of the soft wash roof cleaning industry, then consider becoming an in-network company with SoftWash Systems. 2. Acquire the Authorized Professional package with access to classes. 3. 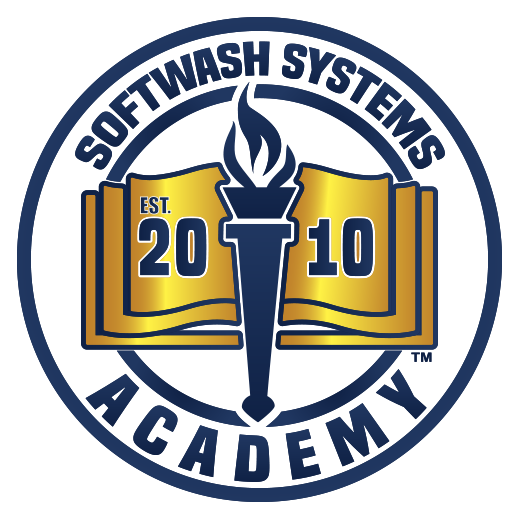 Pass the SoftWash Systems Authorized Professional Program. 4. Exclusive use SoftWash Systems chemicals. 5. Exclusive use SoftWash Systems equipment. (Must have a SoftWash Systems piece of equipment). 2. Ability to use the Authorized Shield on your marketing materials and website. 3. Featured on the SoftWashSystems.com/locations page as an Authorized Company. 4. Access to exclusive Authorized Professional advertising materials and our creative studio. 6. Qualified to receive SoftWash Systems referral business. 7. Ability to participate in the SoftWash Systems Co-Op Advertising Initiatives. 8. Ability to use the Good Stewards logo on your marketing materials and website. 9. Ability to use the 5 year Warranty on your marketing materials and website. 10. Access to enroll in Webinars hosted by AC Lockyer. 11. Ability to use the SoftServ Invoice System. Acquire 60 CEU’s yearly to keep status!